The next time you rush out the door in the morning without something to eat, remember this: Breakfast is the single most important meal of the day. Why do we say this? A healthy breakfast provides your body with the fuel it needs to replenish your blood glucose levels after eight hours of sleep. It fuels your brain and body with the energy it needs to focus at work or at home and helps us make smart decisions throughout the day. 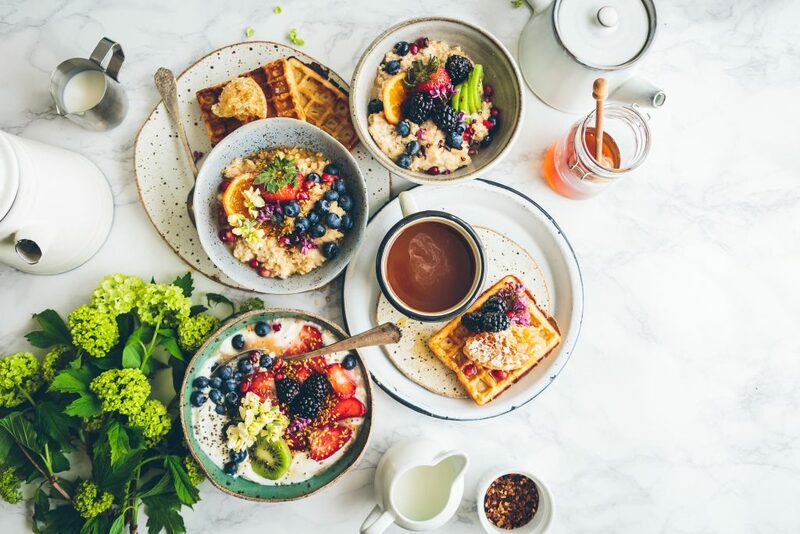 A healthy breakfast combines good carbs and fiber with protein and essential vitamins and minerals that gives you energy and satisfies your appetite. Plus eating a fiber-rich breakfast helps you fill up and keeps you full for longer so that you do not consume extra calories throughout the day. Eating a healthy breakfast boosts your metabolism, curbs your hunger, and helps prevent binge eating. Our favorite go-to breakfast are these healthy breakfast bowls! They are perfect for starting your day off right and are quick and easy to make. Prepare the oats according to the package directions. Top with the fresh fruit such as blueberries, strawberries, and kiwi. Sprinkle on some Chia seeds. Chia seeds are considered a “superfood” and for a good reason. Just one spoonful of chia seeds provides 5 grams of fiber, 4 grams of fat, and 2 grams of protein. Last but not least – drizzle on the agave nectar, a low-glycemic nectar with a mild, neutral flavor to add a little sweetness! Remember – eating a healthy breakfast refuels your body, enhances your mood, improves your concentration, and helps to maintain a healthy body weight. If you don’t have time to eat before leaving the house – take it to go!